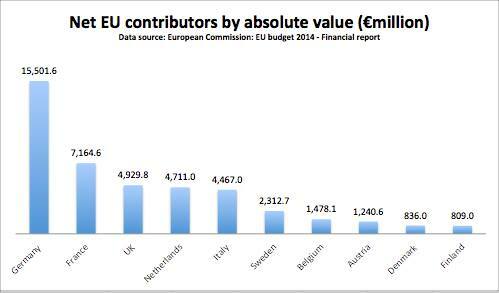 What the Quitters are Scared to tell you: The truth about the UK’s EU budget contribution. The UK makes the 3rd largest contribution of the 10 nations that make a positive contribution to the EU budget. 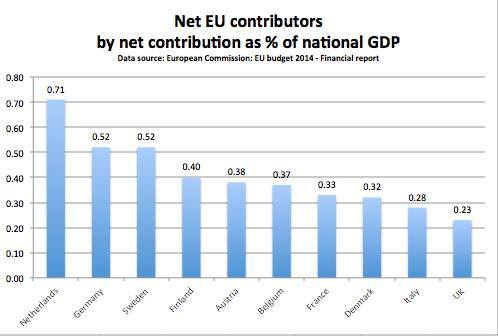 When measured against a country’s Gross Domestic Product the UK makes the smallest net contribution. 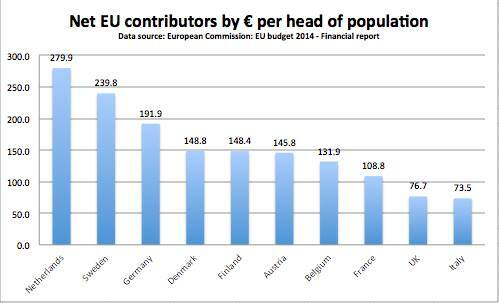 When measured in terms of contribution per population only Italy makes a smaller contribution. Each person in Holland contributes 3.5 times as much as each member of the UK’s population.